Amino AcidsPVL Mutant BCAA - 200 kaps. 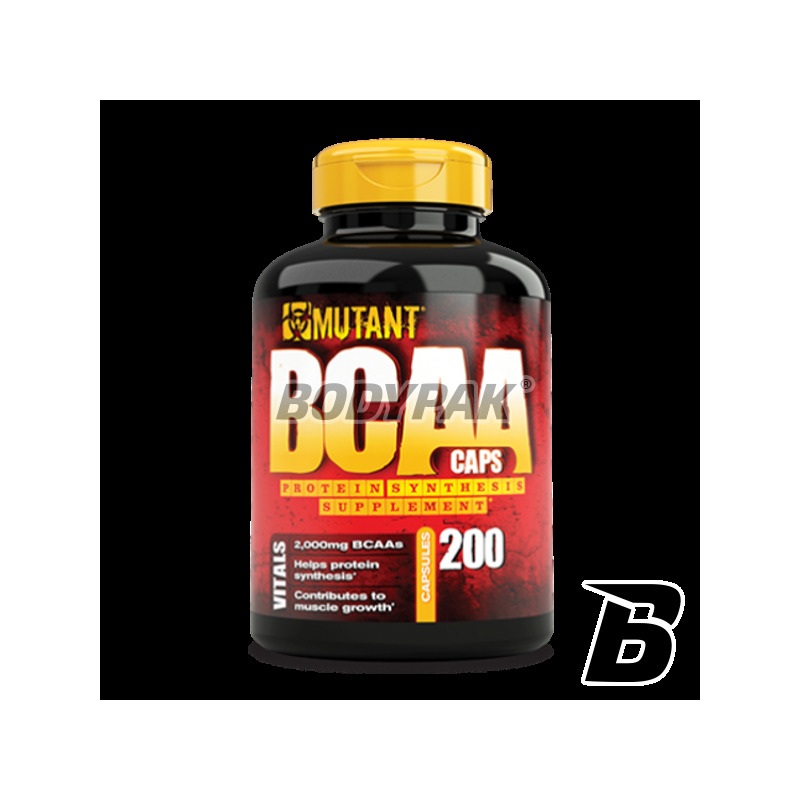 Mutant BCAA is a great solution for anyone who wants to accelerate the growth of lean muscle mass without gaining excessive body fat. Extremely strong blend of branched chain amino acids, which have been enriched by a set of electrolytes. This way you are guaranteed that in addition to proper nutrition muscle, inhibit catabolism, as well as much better wellness Your body has the right amount of essential micronutrients most responsible for reducing muscle contractility and accelerated regeneration. 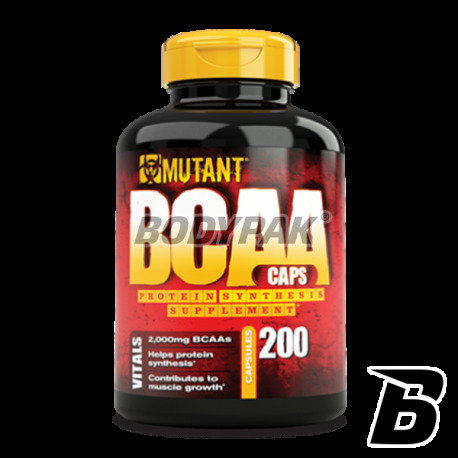 Mutant BCAA is a great solution for anyone who wants to accelerate the growth of lean muscle mass without gaining excessive body fat. L-Isoleucine - providing large amounts of leucine, resulting in lower levels of the other two amino acids isoleucine and valine, which is why it is so important to use all three compounds together. Additionally, isoleucine is known to glukogennych amino acids, that is, that the body in an easy and fast way can be converted to him necessary for the functioning of energy. This means that we will be able not only to train longer and harder, but also recover faster. Fajne BCAAsy - dodatek elektrolitów, więc bardzo fajna odmiana!